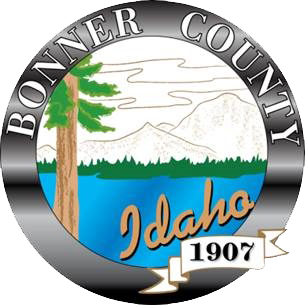 Donna Gow has been with the Bonner County Assessor' Office for over 28 years. Donna along with her husband George and sons Gregg & Michael moved to Bonner County in 1980. Donna has held positions in real estate and retail before joining the Bonner County Assessor's Office in 1990 under Assessor Tim Cochran. She has served under 5 different Assessors gaining insight what type of management style works in the Assessor's Office. She has over 500 hours of appraisal education through IAAO, (International Association of Assessing Offices) as well as through North Idaho College and other collegiate institutions. The family has always been involved in the community. Along with her two married sons, Donna & George have 4 grandsons. The Assessor’s Office keeps a record of ownership changes, maintains maps of property boundaries, keeps descriptions of building characteristics, and keeps track of properties that have exemptions. The Assessors also analyze trends in sale prices, construction costs and rents to establish the value of all taxable property. If your opinion of the value of your property differs from the Assessor, please contact the office to discuss the matter. The Assessor’s Office will be glad to answer any questions you may have about the value of your property. If you can not reach an agreement with the Assessor's Office, you may then appeal to the Board of Equalization. The Assessor also provides information regarding tax exemptions. These include Homeowner Exemptions, Property Tax Reduction, also known as Circuit Breaker Exemption, and exemptions allowed for agricultural and forest lands. You may print an application from the forms tab on this page.